New rules around cryptocurrencies and blockchain-based assets could be developed in the months ahead, a European Union official said Monday following a roundtable discussion on the topic. 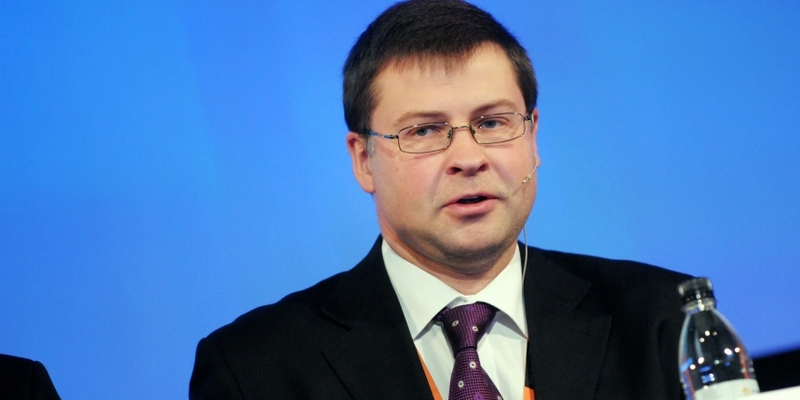 In remarks made after the event, European Commission vice president Valdis Dombrovskis suggested that the bloc’s leadership may pursue additional oversight, though he said such an outcome “depends very much on the facts and circumstance around specific crypto-tokens” and that more work will be performed by the Commission on this front. By contrast, Dombrovskis struck what appeared to be a positive tone about initial coin offerings (ICOs) while also acknowledging the risk for those investing in some of the blockchain projects which conduct token sales. The vice president noted that a relatively small amount of cryptocurrency trading occurs within the EU and that, as a result, Europe needs to work with other G20 nations to address these possible risks. In a way, he echoed a call by officials from France and Germany, two G20 members who said cryptocurrencies could “pose a substantial risk for investors” in a letter earlier this month.